This Meenakari Tea Coaster Set in Wood & Metal provides the ideal opportunity for its owners to showcase their love for ethnic art forms. 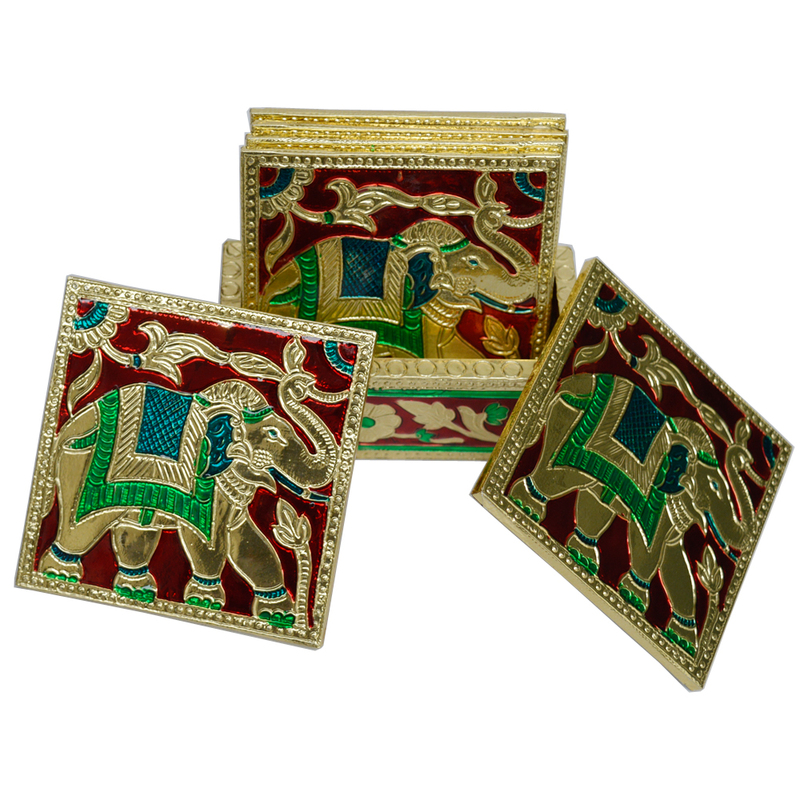 The Read More..intricate Meenakari work adds to the visual opulence of this tea coaster set, with the combination of wood and metal rendering it with a unique appeal. The aesthetics of this tea coaster set is best suited for buyers who intend to portray their refined taste through even the most mundane of items of everyday usage. Show Less..